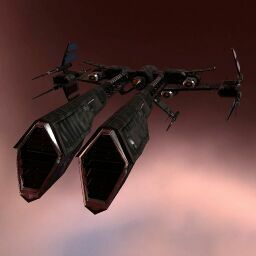 These near-unique Assault Ships were the 2nd place prize of Alliance Tournament VII. The team was given enough blueprints to make 50 such ships. Several of these ships were destroyed in Alliance Tournament VIII battles. Further information about additional or recommended skills to pilot Freki for a specific or it's common role(s) can be written here. No sub-article about Freki roles or piloting tactics. You can write them here. You can write additional notes for Freki here. This page was last modified on 31 December 2016, at 12:58. This page has been accessed 26,787 times.